Thank you for continuing this journey of The Gospel Project® for Kids. 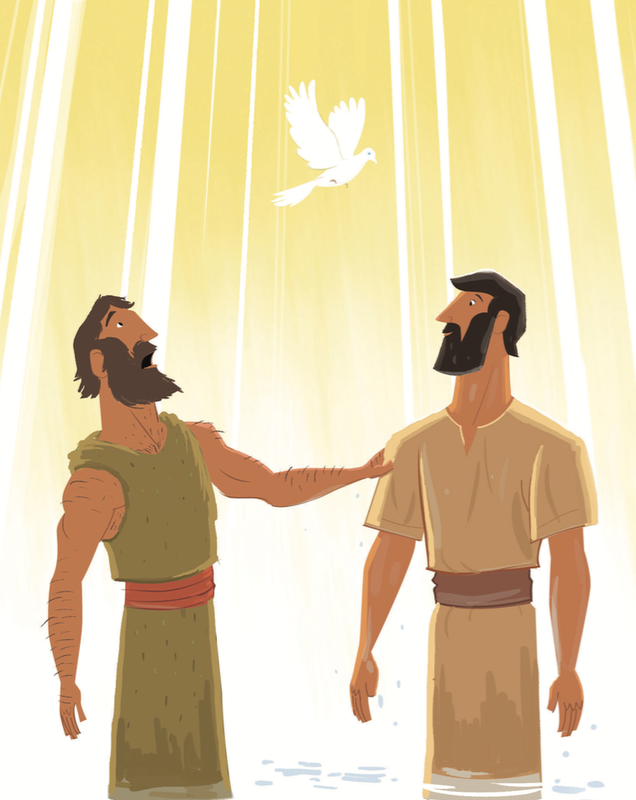 Today’s Bible story focuses on Jesus’ baptism by John. John the Baptist grew up in the wilderness. John’s ministry began when God’s word came to him, and he began preaching near the Jordan River. John got people ready for Jesus’ ministry, fulfilling the Old Testament prophecy, “A voice of one crying out: Prepare the way of the Lord in the wilderness” (Isa. 40:3). John called the people to repent of their sins, and he baptized them in the Jordan River. Jesus came from Galilee to be baptized by John in the Jordan River. Wait a second. John was calling people to a baptism of repentance. Sinners need repentance, but Jesus never sinned. (See Heb. 4:15; 2 Cor. 5:21.) So why did Jesus come to be baptized? John was right when he said, “I need to be baptized by You, and yet You come to me?” (Matt. 3:14). Jesus answered John, “Allow it for now, because this is the way for us to fulfill all righteousness” (Matt. 3:15). Jesus never sinned, but He was baptized like sinners are baptized. 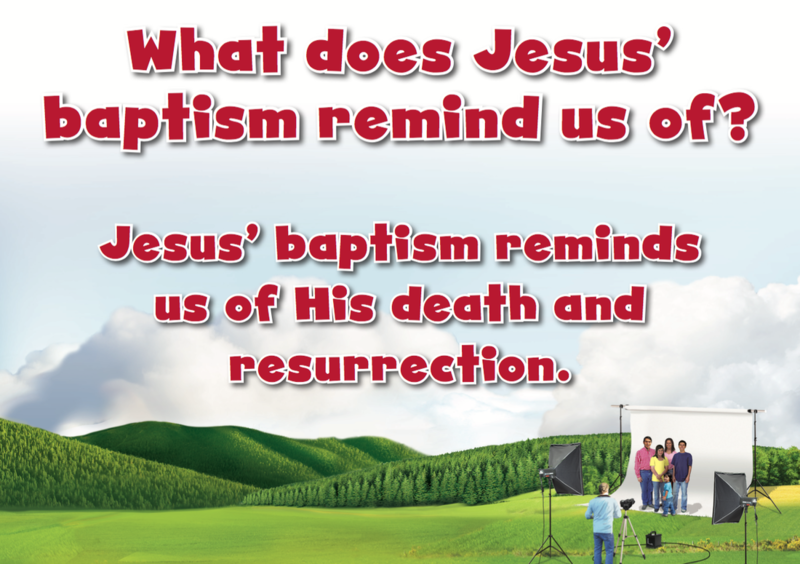 Baptism reminds us of Jesus’ death and resurrection. It reminds us that when we trust in Jesus, we turn from sin and start a new life—a life lived for Jesus. John the Baptist lived in the wilderness. He wore camel’s hair and a leather belt around his waist. He ate locusts and wild honey. When John was an adult, he began speaking to the people around him. “Repent and be baptized, for God’s kingdom is almost here,” he said. John said, “I am not the Messiah.” John also said he wasn’t Elijah, and he wasn’t the Prophet. “Who are you, then?” the people asked. John was born with a very important job. He was supposed to get people ready for Jesus, God’s promised Messiah. Jesus told John that He wanted to be baptized. John the Baptist didn’t think he should baptize Jesus, and he tried to stop Him. “I need You to baptize me,” John said. “Why do you want me to baptize you?” John was confused because he baptized people who confessed their sins. Jesus never sinned! Christ Connection: Jesus never sinned, but He was baptized like sinners are baptized. Baptism reminds us of Jesus’ death and resurrection. It reminds us that when we trust in Jesus, we turn from sin and start a new life—a life lived for Jesus.